For the past 30+ years, Robert Litman has guided clients and students in the use of movement, breath and sound as a tool for personal growth, restoring healthy breathing rhythms, structural alignment, and efficient body mechanics. He founded The Breathable Body in 2003. 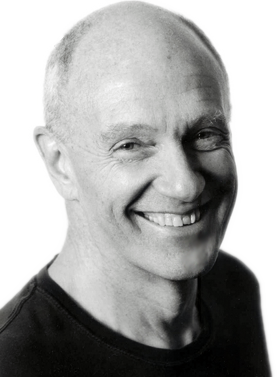 He co-developed the Wellsprings Practitioner Program with Emilie Conrad, founder of Continuum Movement and co-taught with her for 18 years. He was on the faculty of Continuum Movement until 2014 and has made many contributions to Continuum’s practices, particularly in the sciences, incorporating respiratory physiology, neuroanatomy and cellular biology. Emilie and Robert collaborated in developing The Body in Question, a year-long program in Berkeley, CA in 1996 and many other programs in California throughout the years. He was a preceptor at the University Of Arizona School Of Integrative Medicine teaching the Buteyko Breathing Technique to visiting doctors for Doctor Andrew Weil for 5 years. -The Duggan-French Approach – Somatic Pattern Recognition, which has provided him with hands on skills to help guide clients’ movement and breath education awareness processes. -Graduate Certification as a Breathing Behavior Analyst. Robert now makes his home on Vashon Island, WA., continuing to offer private sessions and classes in movement and breathing. He regularly leads classes and workshops worldwide.